Do you like adaptability? 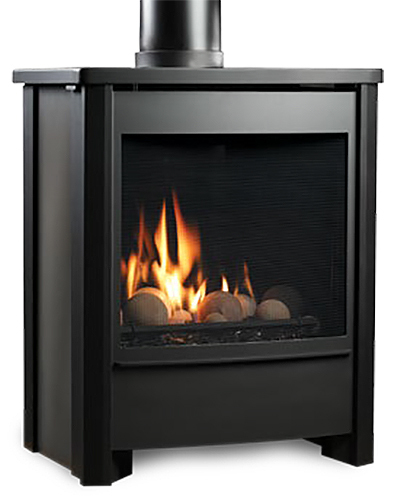 Then this Kingsman Free-Standing Direct Vent IPI Gas Stove has features for you! 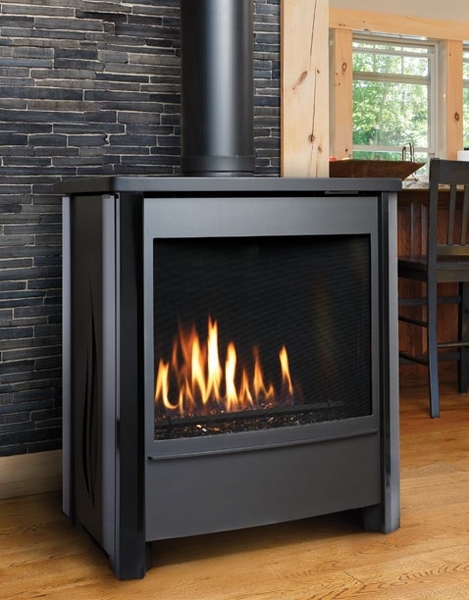 This modern and sleek looking free-standing stove has several exterior finish and door options for you to customize the appearance of your new stove. This unit can utilize either a detailed oak log set or a contemporary glass media and can pair with a full line of remotes and wall switches. 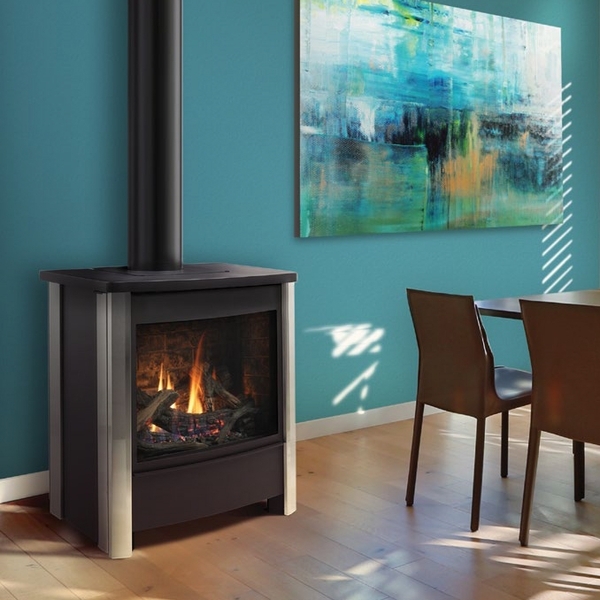 The fuel saving IPI control system is better for the overall efficiency of the system, and the compact chassis of this stove allows you to fit it into a variety of installation situations. Kingsman includes safety barrier screens with this FDV451E stove to prevent accidental contact with hot glass surfaces. Efficiency Rating: 73.53% Natural Gas / 74.28% Liquid Propane. BTU Input Ratings: 34,500 Natural Gas / 31,000 Liquid Propane. Could we use this stove in a master bedroom? This is a bedroom approved unit. How much area will it heat? Does it have a thermostat? 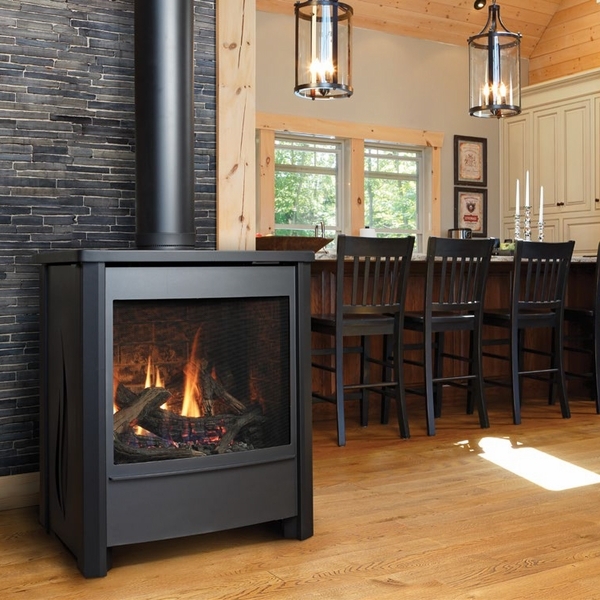 This answer will depend on your gas type, but the natural gas version of the stove would heat approximately 729 square feet after factoring efficiency and if you have standard 8' ceiling height. The stove will not arrive with a thermostat, but any number of wired or wireless wall thermostats or thermostatic remote systems would work with this stove.